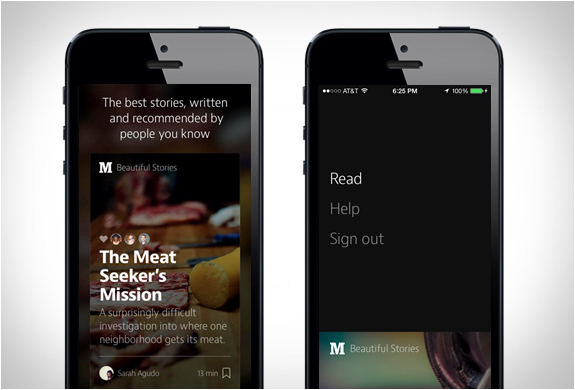 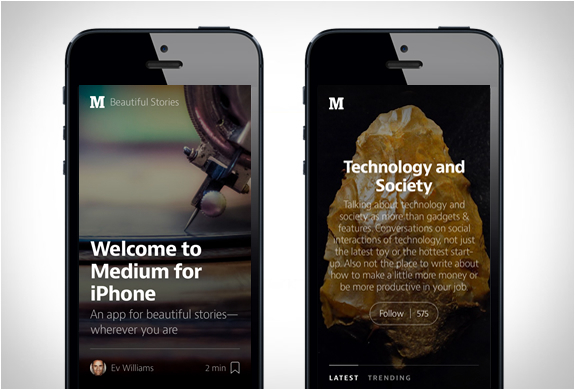 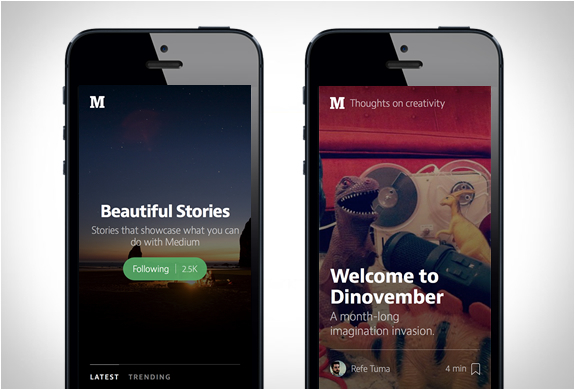 If you haven´t heard of Medium.com you should check it out, it was created by Twitter founders and is a new place on the Internet for sharing ideas and stories that are longer than 140 characters and not just for friends, users can post essays using an elegant, highly visual publishing platform. 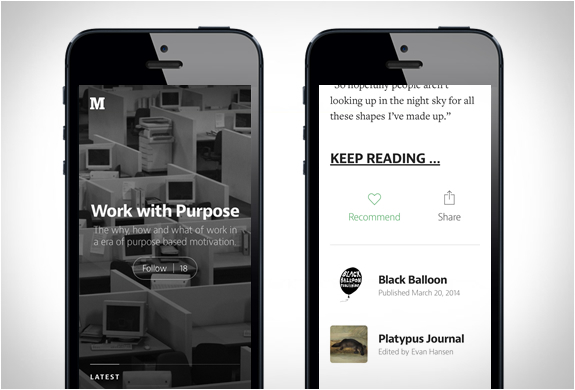 Medium automatically curates a stream of posts that are most relevant to you, based on past reading, recommendations, and favorite authors. 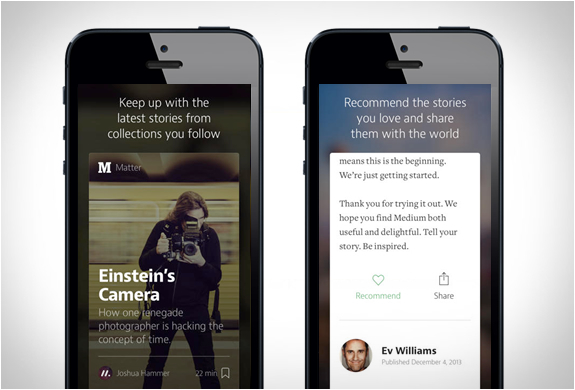 Now they have launched a beautiful app, showing you popular stories from a refreshingly divergent sampling of writers and world-famous authors, plus a list of stories based on who you follow.